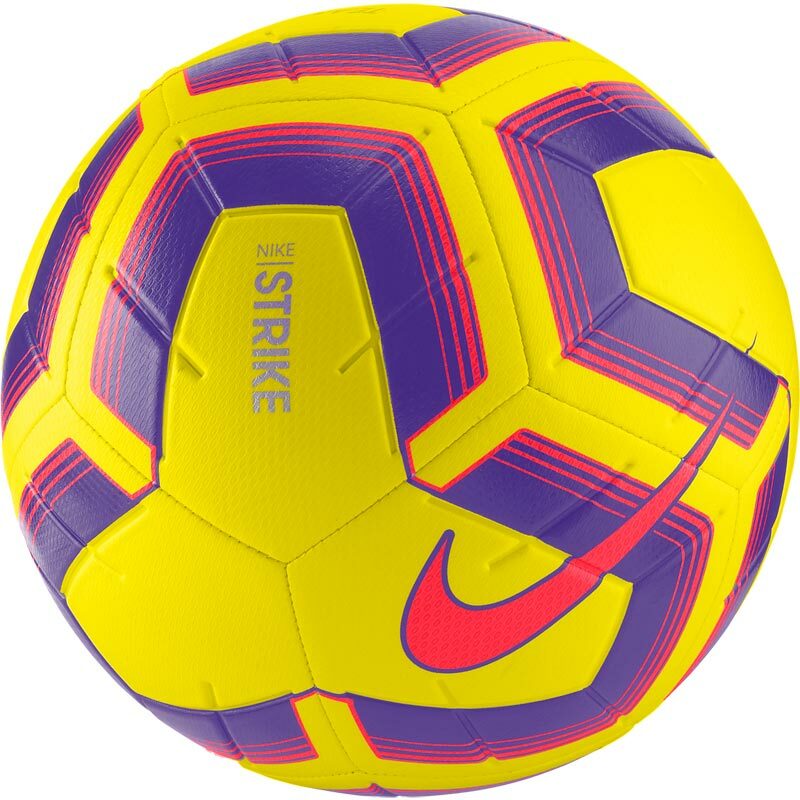 The Nike ® Strike Team Match Football Yellow has a durable design that brings exceptional performance to the pitch with 12 panels for true and accurate ball flight. 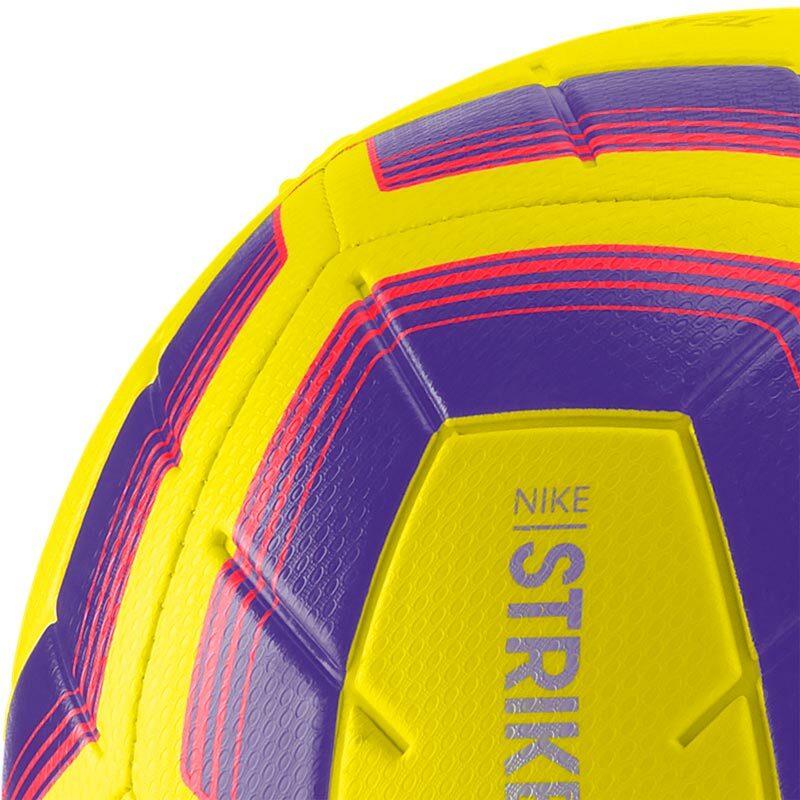 Anticipated availability for the Nike ® Strike Team Match Football: January 2019 to 30th June 2020. IMS logo: International Match Standard. 12 Panel design for true and accurate ball flight. Nike Aerowtrac grooves help improve flight stability. Visual Power graphic helps you easily track the ball. Butyl bladder provides air and shape retention. Textured casing offers optimal touch. Fabric: 60% rubber, 15% polyurethane, 13% polyester, 2% EVA. 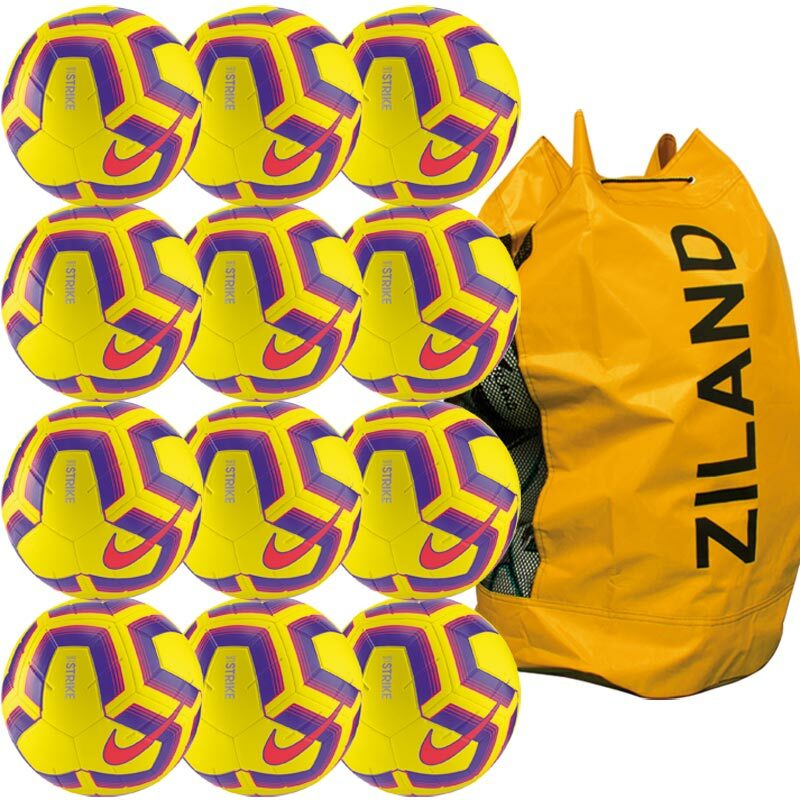 Sold as pack of 12 Footballs and a Ball Bag.